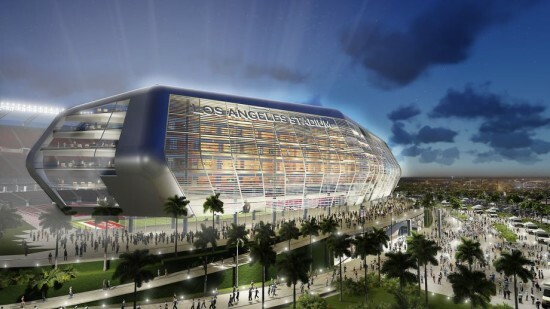 Gensler's Los Angeles football stadium may be in trouble (still, not dead), but the firm is busy as ever. Their latest news is the expansion of the JW Marriott and Ritz-Carlton in Downtown Los Angeles, creating the second largest hotel in California. The new 650,000 square foot tower will be directly connected to the existing hotel via a bridge across Olympic Boulevard. The angular building's grid of varied glass will be arranged vertically, in contrast to its sibling's horizontal orientation, and it will not bulge out the way its neighbor does. It will feature a second floor amenity deck including a restaurant, bar, fitness center, executive lounge, and pool area. Combined with the existing JW Marriott and the Ritz-Carlton Los Angeles, the facility will contain 1,756 rooms and over 200,000 square feet of function space. A mixed-use complex designed by New York- and Copenhagen-based Bjarke Ingels Group (BIG) is going to be, well, not quite as big. The San Francisco Mid-Market neighborhood has been quickly revitalizing since 2011, but the largest development in the area, located at 950–974 Market Street, has just been downsized. Mid-Market really began taking off after city officials instituted a tax break—nicknamed “the Twitter tax break” when Twitter famously decided to stay in the city. The effort has been seen as a success: many young tech companies have made the area their home, development proposals are flooding in, and a report by the San Francisco Controller’s office last November showed gains for the city reaching $3.4 million in 2013. 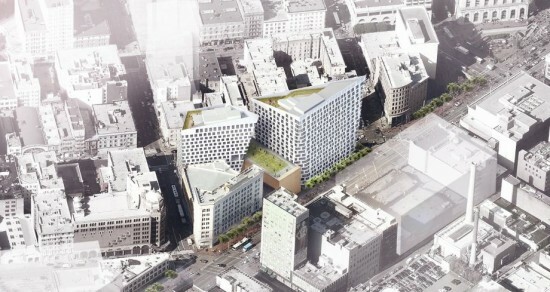 But not so much for 950–974 Market Street. 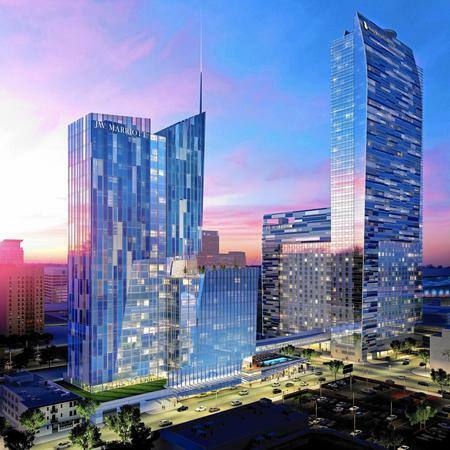 The developer responsible for the project, Developer Group I, has told the city that the mixed use complex—with over 300 residences, 250 hotel rooms, and a connecting art space with a green roof for art groups—will now be a smaller hotel and residence. The original central art space, with performance spaces and offices for art groups, would have allowed developers to raise the overall building height from 120 to 200 feet. Disputes over funding have caused tensions: “The city expected the developer to cover all costs, while Group I wanted nonprofit arts groups to chip in 50 percent,” wrote Curbed SF. Still no word on what's next. Updated designs and a revised timeline have not yet been released. Designed for a family of four, Indigo Pine was envisioned as a family home from the start. Building on this foundation, the Clemson University team took the traditional concept of a Southern home and began redefining it in contemporary ways. This concept permeates the design and manifests in architectural details throughout. The structure is timber, but it is framed with a new technique. The roof is flat, but the ceilings are gabled. Like a traditional Southern house, the house will have a porch, but it will be an integrated part of the whole. While Indigo Pine will look unlike any house before, it will be as welcoming and familiar as any traditional South Carolina home. In envisioning its solution, the Crowder/Drury team focused on the Cole family, a fictional family of three that lost its home, car, small business, and sense of security in a tornado. The team strived to meet the family's needs through three key design objectives: quick, targeted response; facilitated recovery; and resilient layers of protection. 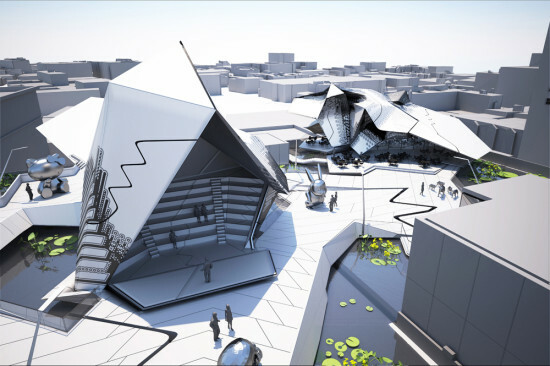 The resulting design is shipped as two modules, with one module containing the service core and the other containing the private bedroom and study. These are joined onsite to form a functional refuge. Construction time and cost are decreased, and the Cole family is provided with a permanent core shelter. Later, the core can be expanded to form a more comfortable environment and adapt to the family's long-term needs. Through the use of disaster-resistant sustainable materials, the home will empower families to withstand the effects of severe weather and recover from natural disasters. The team's goal is to synthesize clean lines and efficient spaces with new envelope strategies, energy-production systems, and fabrication methods. The result will be a prototype for an elegant and disciplined house that: 1. Expresses its construction in an honest and direct manner. 2. Basks in the Florida sun and harnesses the full extent of the available energy. 3. Is cast from modular uniformity while celebrating the potentials of variants. 4. Reflects the poetic delight of a bygone era but is updated and transformed through the technological prowess of our time. Designed to be affordable for a working family with one or two young children in New England, the EASI Living Home combines a traditional New England-style exterior with a modern interior. Featuring high ceilings and clerestory windows, the house offers a comfortable living environment with multifunctional space. Space-saving technologies—including fold-away beds, innovative storage solutions, and multi-purpose fixtures—and natural lighting create an open and spacious interior. The Missouri team envisions Nest Home as a solution for young families that want to live sustainably, yet comfortably, in a home that expands as the family grows. Nest Home's design includes sliding doors that allow private spaces to blend into a central gathering area or be secluded sanctuaries. Its structure of repurposed shipping containers is both sustainable and flexible. Additional containers can be added or subtracted to allow for changing family needs. Every aspect of the Nest Home is designed to bring the family closer while giving members the space they need to grow. New York City is exploring new models for post-disaster housing that meet the unique needs of a high-density urban environment. In this context, multifamily, multistory solutions that can placed in residents' own neighborhoods are preferred over traditional single-family trailers with larger footprints.New York City College of Technology is therefore exploring a stackable design to provide relief after catastrophic storms that can also be used for mobile and low-income housing in urban areas. DURA will consist of several prefabricated modules that can be packaged and shipped in standard-size shipping containers for quick response at low cost. The flexible modules can then be joined in standalone configurations or stacked for multifamily solutions. Sacramento State's approach to building an affordable, ultra-efficient house involves simple but effective modifications to traditional architectural elements. The gabled roof will appeal to traditional tastes, and the offset levels and slopes will allow natural daylight and an open floor plan. An expansive deck will encourage outdoor living, and numerous planters will create a closer relationship with nature. Inside, two bedrooms provide the flexibility of having two sleeping rooms or a separate workspace. And a porch off the master bedroom is a private retreat for the homeowners. 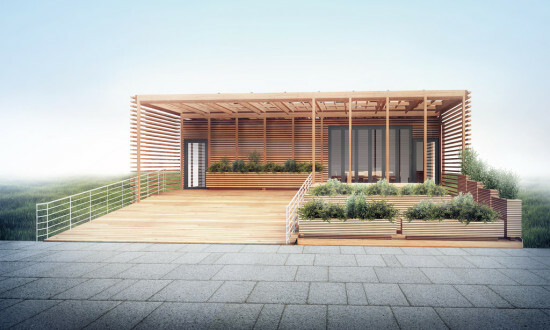 For the U.S. Department of Energy Solar Decathlon 2015, Stevens Institute of Technology will build SURE HOUSE, a sustainable, resilient house for coastal communities. In 2012, Hurricane Sandy killed 158 people, caused more than $65 billion in damage, and damaged or destroyed almost 350,000 homes in New Jersey alone. SURE HOUSE represents a new direction in coastal shore housing that will provide a safe, secure, comfortable, and architecturally innovative home for a family of four. The team's design concept is based on modular construction with a mechanical, electrical, and plumbing core that includes a bathroom, mechanical room, and kitchen. Featuring an open floor plan, the house offers a great area for entertaining that is illuminated by natural light from large windows on the north wall and clerestory windows above exposed trusses. Though the floor area may be compact, the house offers living accommodations for four. Cal Poly's interdisciplinary design and build team is stretching the school's 'learn by doing' philosophy by working through design iterations and full-scale testing together. The team sees the manufactured and prefabricated housing market as an untapped opportunity and architectural challenge. 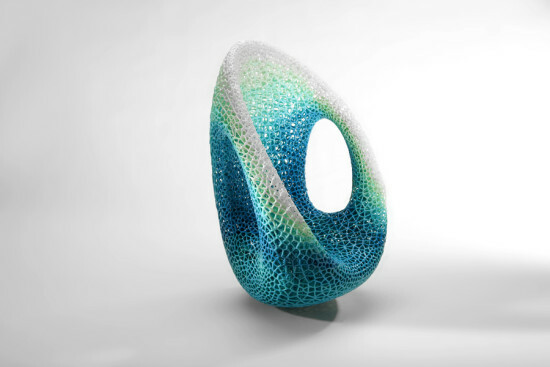 Its goal is to move beyond 'surface green' technologies (such as green materials and photovoltaics) to 'deep green' solutions that harmonize with design. Climatic-responsive design proposes buildings that perform in symbiosis with the climate instead of against it. The team therefore strives to design a house that can meet most if its heating, cooling, and lighting needs architecturally rather than mechanically by focusing on passive design principles, low-impact materials, user interaction, and high-efficiency support systems. Casa Del Sol will mimic the California poppy, the state flower. Like the poppy, the house is drought-resistant and diurnal. Its passive solar features cause it to open up during the day, increasing the effective living area. At night, the house closes to maintain a comfortable temperature.This ultra-efficient house will embody innovation in energy and water management, home automation, and community interaction to adapt itself to its occupants' needs and use. In addition, the house will incorporate design and construction techniques that respond to a market lacking housing that is energy-efficient, affordable, and adaptable to the needs of a diverse and ever-changing demographic. Environmental and economic affordability are the goals of the team's ExW-Unit concept. As a unit of production, the house will harness resources (such as solar energy, rainwater, and auxiliary water) that would otherwise be wasted and a burden on municipal infrastructure. Because lower-income families are more vulnerable to water and energy cost fluctuations, the ExW-Unit will increase occupants' independence while contributing to their long-term economic, environmental, and social stability. In support of food production, GRoW House features a glass-enclosed solarium that provides ample light for plants during the growing season and passively heats the house in winter. The solarium can be continuously tuned to the appropriate conditions for growing and living. In the summer, operable cloth shades on the roof and southern façades shade and cool while vents or windows allow heat to escape. Design features on the east and west sides will protect the solarium from the low morning and evening sun. The design of the M-Power dwelling combines public and private spaces in three linear zones. Two climate-controlled living spaces are separated by an unconditioned, enclosed deck. These three zones act as climate buffers that maximize passive cooling in summer and passive heating in winter. The units act as a system of active and passive techniques of energy efficiency. The house's passive components allow maximum user adjustability, while active components adjust energy to residents' needs and learn from their daily rhythms. STILE is a simple and compact house covered by an elegant, Roman-inspired arch. The arch creates a covered passage that guides visitors inside, shades the house, and supports the solar energy arrays. A patio occurs naturally as a result of the arch's shading effect. In the architectural design of Y-House, the Yale team had one purpose in mind: to transform what has previously been considered an enclosed envelope into a public, social space that constantly adapts to its ever-changing social environment. As such, the spaces of Y-House accommodate multiple functions and introduce freedom of movement beyond the walls. A cantilevered roof provides a connection between the interior and exterior. A space may at one moment be a quiet reading area and the next an open entertainment space. Only necessary private spaces, such as the bathroom and sleeping spaces, are blocked off. By challenging traditional notions regarding the use of space, the team will fuse the concepts of perceived space and physical space to redefine the very idea of bigness. The first project in LADOT's People Street program has opened in a former alley near corner of Magnolia and Lankershim Boulevards in North Hollywood. 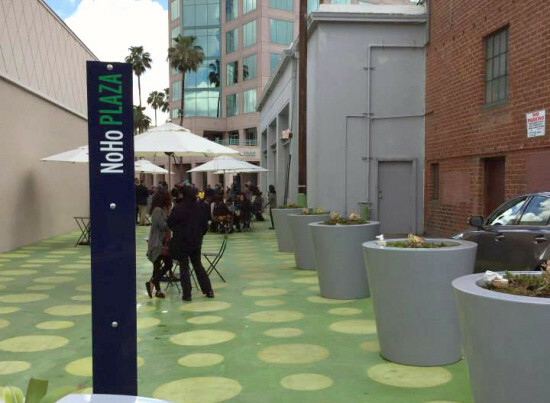 The project, called NoHo Plaza, has been repurposed with cafe tables, chairs, umbrellas, a colorful surface treatment (which looks almost exactly like the dotted green and gold surface of Silverlake's Sunset Triangle Plaza), and perimeter planters. People Streets allows community groups to partner with the city to make public spaces. Each project type—including parklets, plazas, and bicycle corrals—offers a preapproved kit of parts containing packaged configurations to choose from. 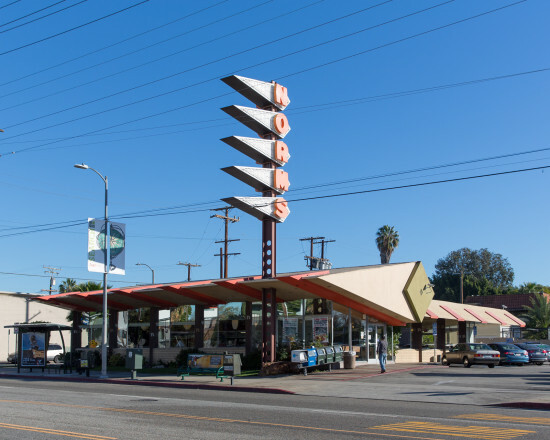 NoHo's kit of parts was supplemented by technical design (road marking, signage, signals, etc) from LADOT. According to LA Streets Blog, the park cost only $57,000. The plaza is managed and maintained by the NoHo BID. Two more plazas are about to open in Leimert Park and Pacoima, while four parklets are set to open this summer throughout the city. According to LADOT Assistant Pedestrian Coordinator Valerie Watson, all of People Streets' inaugural projects are running ahead of schedule. While Los Angeles is trying to shake its image as a city of cars, it sure has a lot of roads and highways. And unless you're behind the wheel, you probably won't be able to play in the middle of them (unless you're headed to CicLAvia). 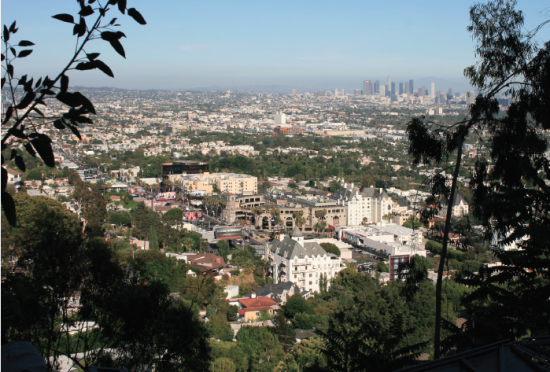 Then comes along filmmaker Russell Houghten, who captured an eerily abandoned LA in his short film, Urban Isolation. https://vimeo.com/91085172 In the film, above, a lone skateboarder navigates the grossly out-of-scale streets, on ramps, and even major highways in LA. No cars or trucks are in sight and it feels like the film's hero could be the last person on earth. Urban Isolation was created for the competition and film festival REDirect, "a celebration of skateboard filmmaking between Red.com and TheBerrics.com." Take a look at the beautiful video above.